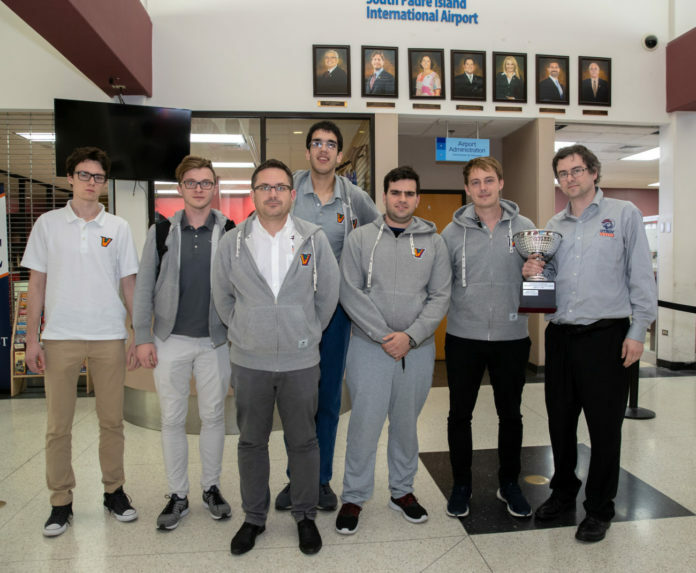 The University of Texas Rio Grande Valley chess team defended its title as national champions of the President’s Cup during the Final Four of Collegiate Chess last weekend at the Marshall Chess Club in New York. The team defeated six-time champion Webster University, as well as the University of Texas-Dallas and Harvard University. This is UTRGV’s fifth appearance in the Final Four, including three appearances as UTRGV legacy institution University of Texas-Brownsville/Texas Southmost College. Last year was the team’s first championship, which paved the way for UTRGV to be named the 2018 Chess College of the Year by the U.S. Chess Federation. >> Kamil Dragun, a sophomore from Gorzow Wielkopolski, Poland. >> Andrey Stukopin, a graduate student from Rostov, Russia. >> Hovhannes Gabuzyan, a freshman from Yerevan, Armenia. >> Vladimir Belous, a sophomore from Moscow, Russia. >> Guillermo Vázquez, alternate, a senior from Asunción, Paraguay.